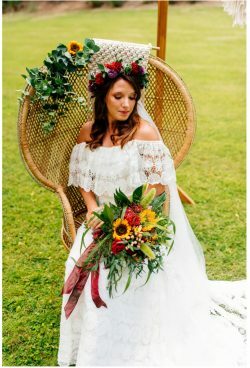 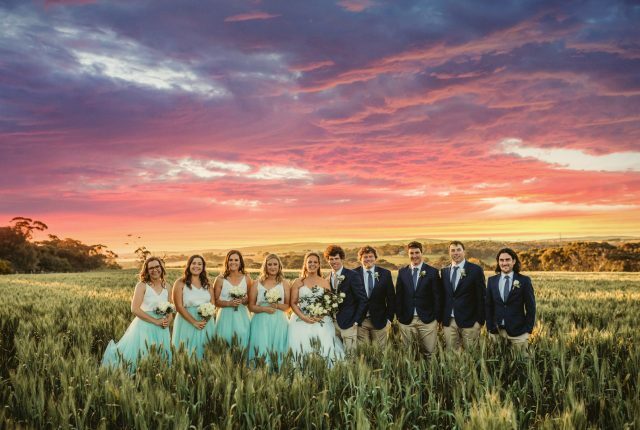 This rustic tipi wedding will give you all the feels with it’s autumnal vibes, a cocktail making celebrant and the beautiful addition of a few vintage elements too! 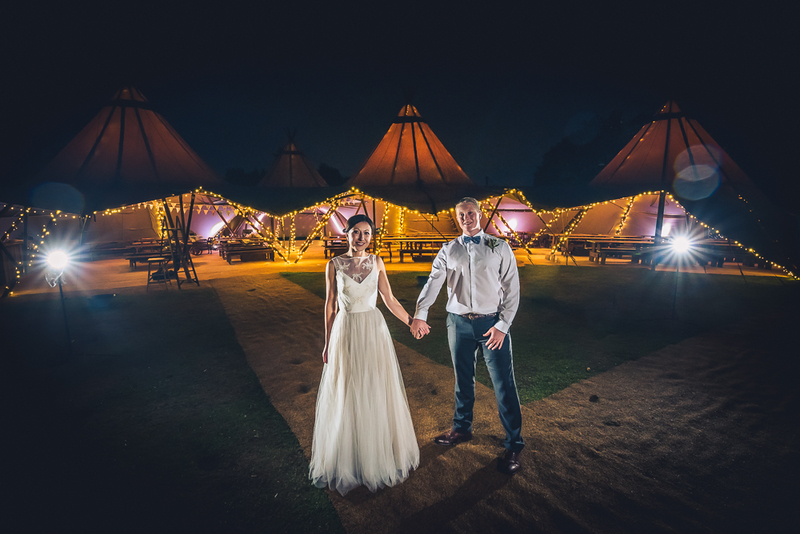 If you looking for inspiration for your own rustic tipi wedding take notes of the beautiful styling and personal touches that have gone into this styled shoot. 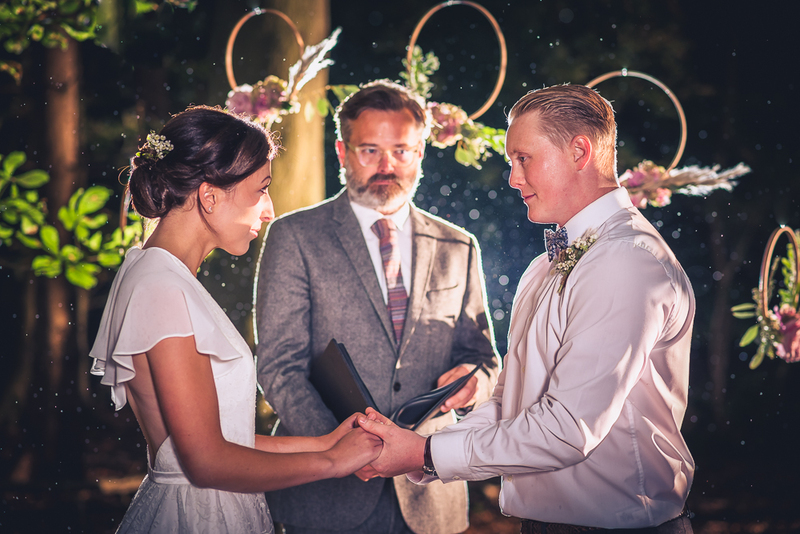 And to top it all off the magical vibe of the starlit ceremony and the rain all adds to the beautiful imagery- who said rain at your wedding was a bad thing! 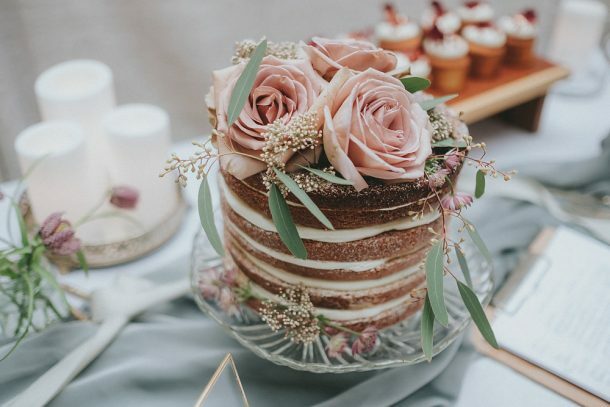 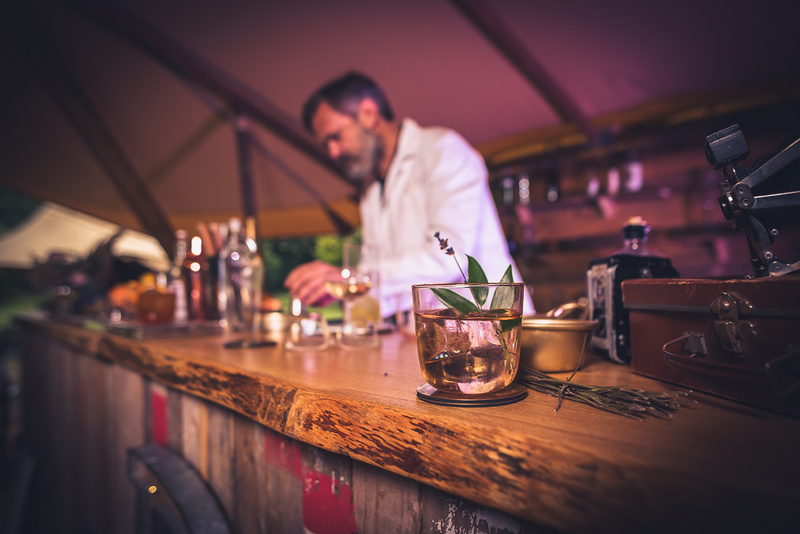 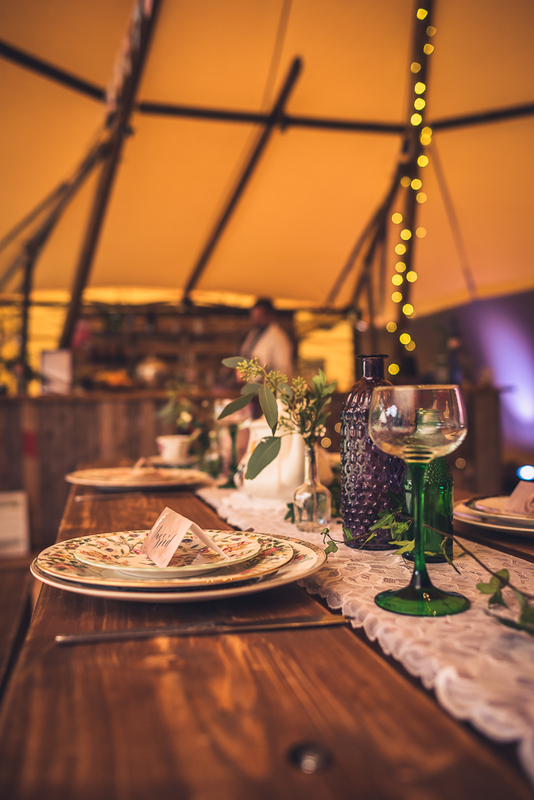 Here we catch up with the team involved to hear all about the rustic tipi wedding with autumnal vintage vibes. 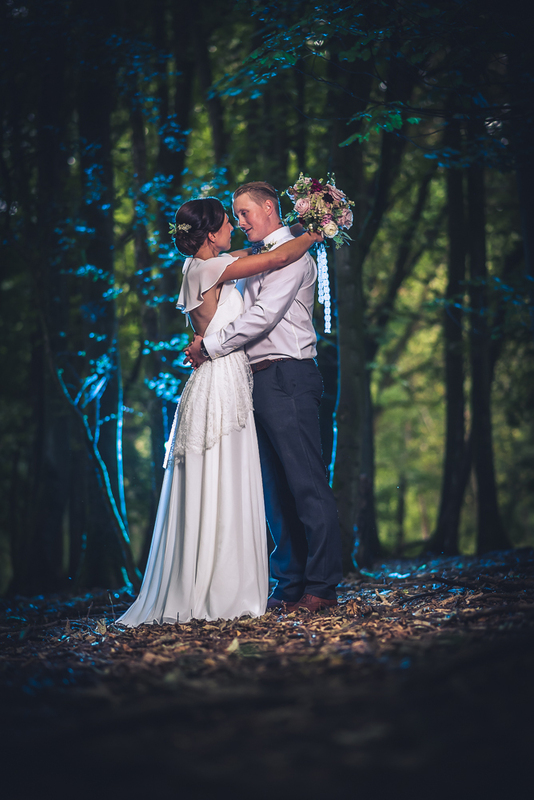 Imagine the most private woodland setting, beautifully fairy tale, simply surrounded by trees and nature. 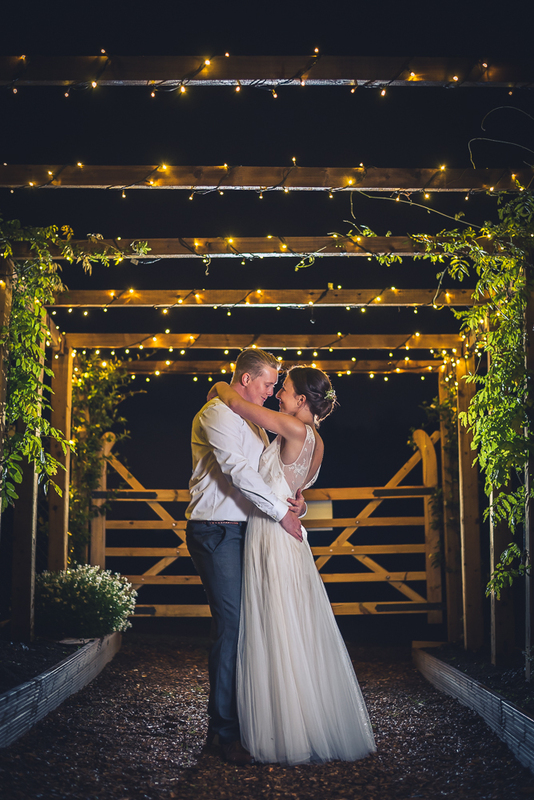 A perfect backdrop for a wedding… A Bride’s dream…But we wanted to show how extra special and incredibly intimate a wedding ceremony is when it is lit by starlight, it is truly magical! 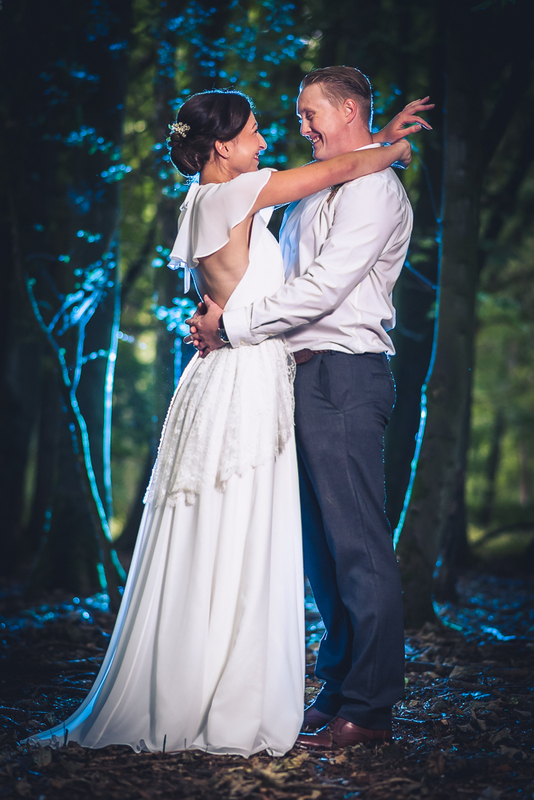 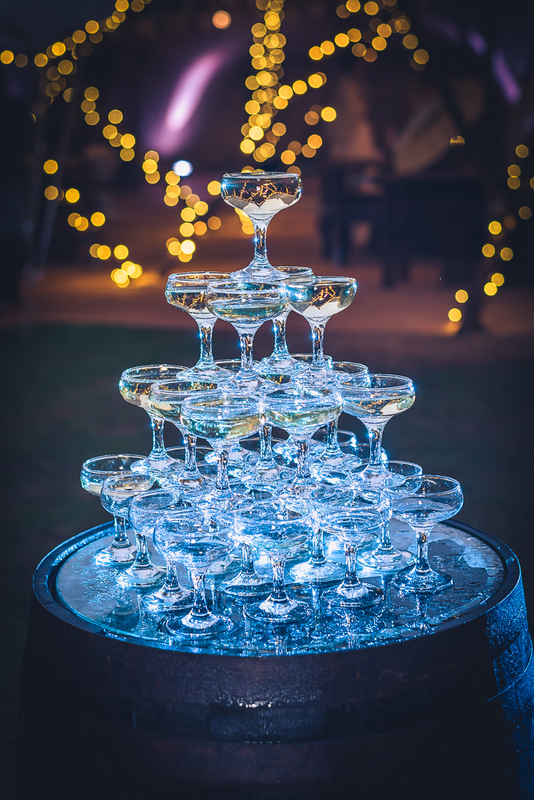 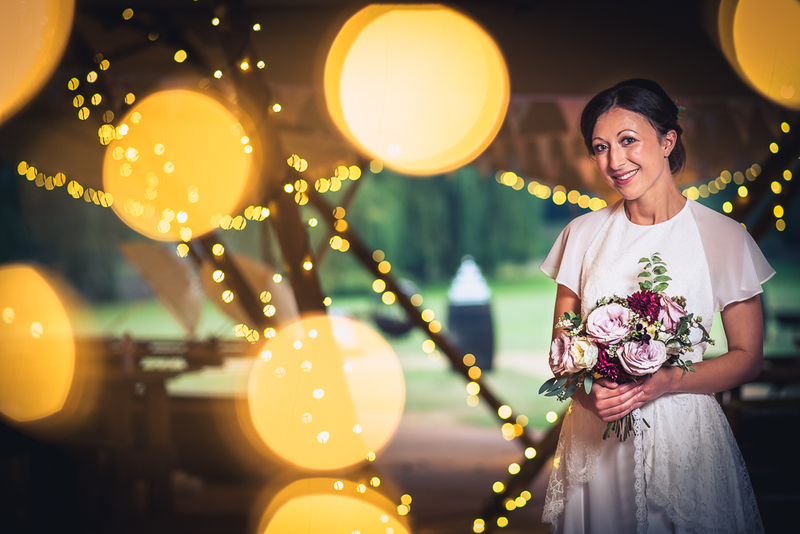 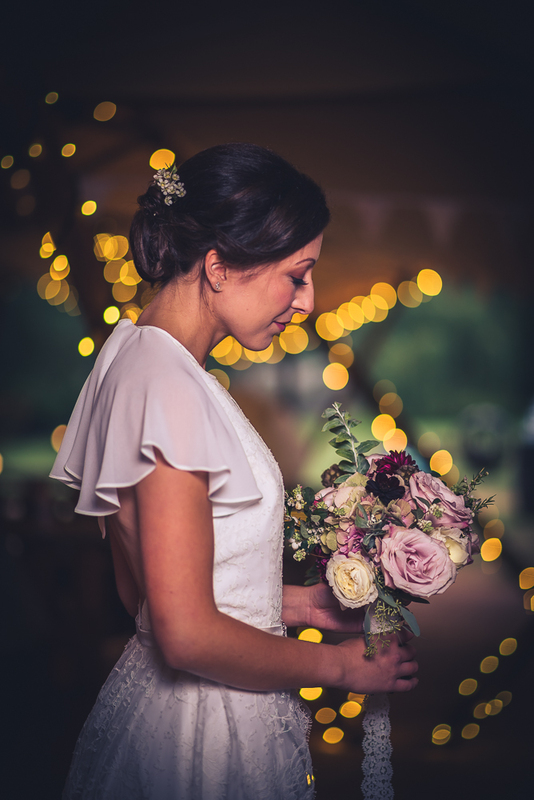 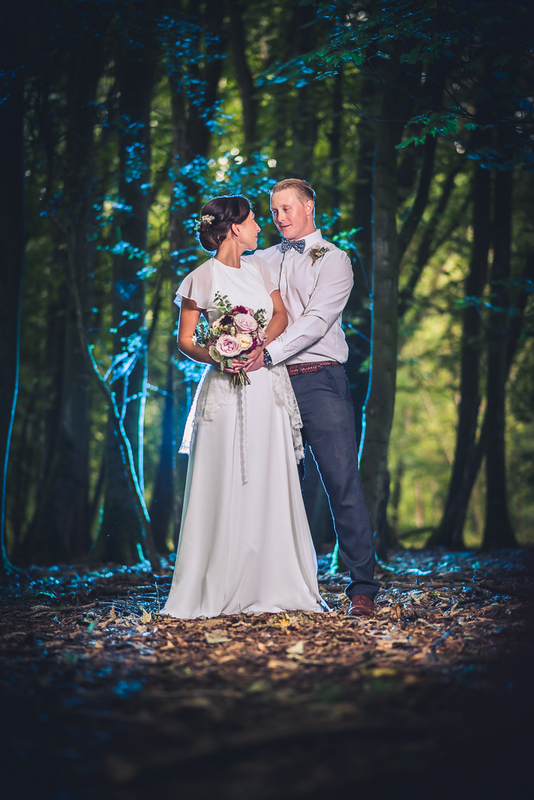 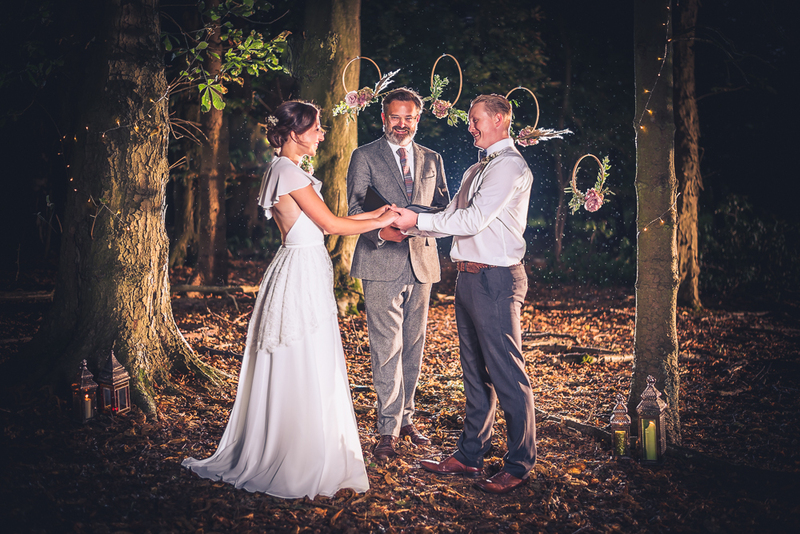 From the woods and tipis, flowers and celebrant, to a vintage inspired reception, there is something extremely romantic when the dusk dips and the fairy lights sparkle…. 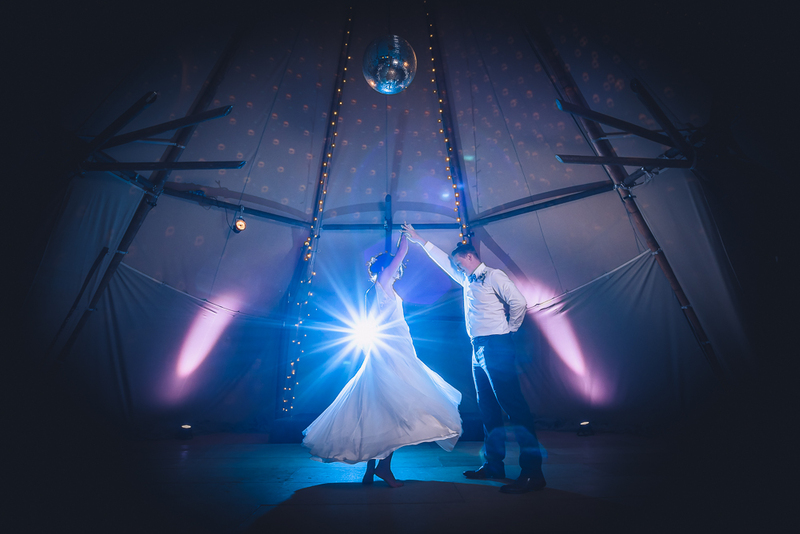 This season I had the privilege of photographing two really beautiful weddings at Vanstone Park near Hitchin in Hertfordshire, which is the new home of the tipi hire company, Country Tipis. 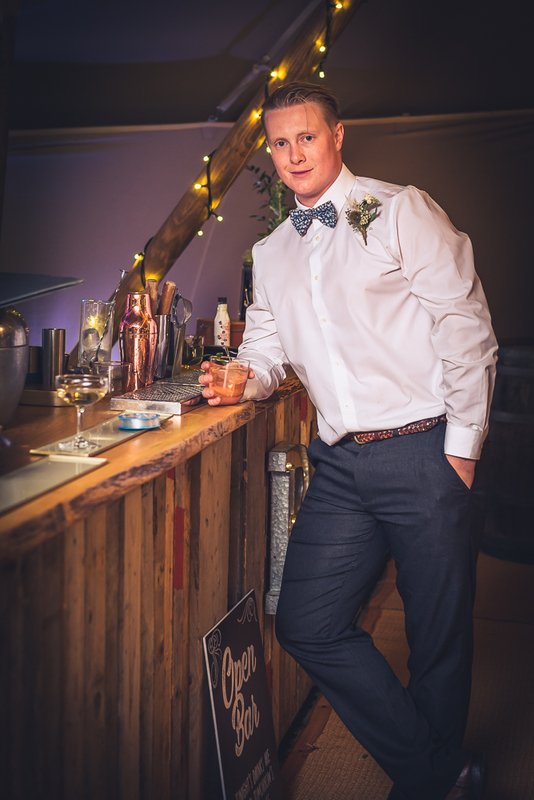 At the first of these events, whilst the guests enjoyed the wedding breakfast, I met Richard the company owner. 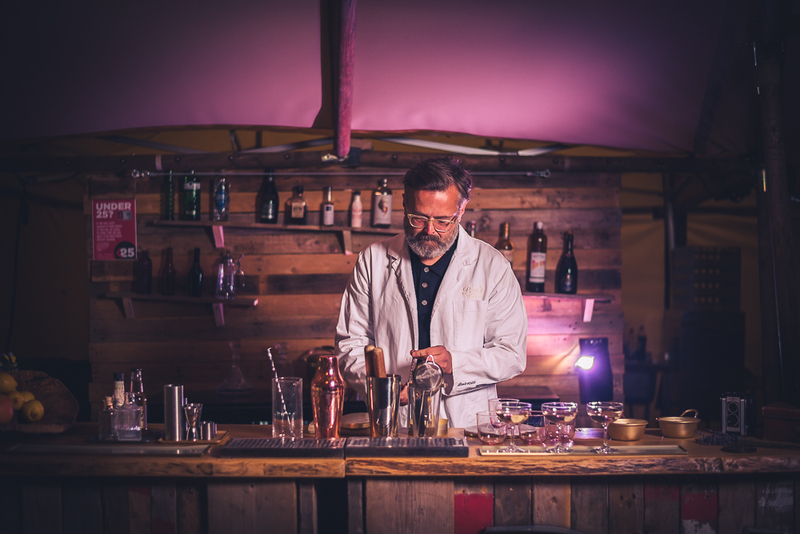 As we chatted I commented on what a striking venue it was that he and his team had created. 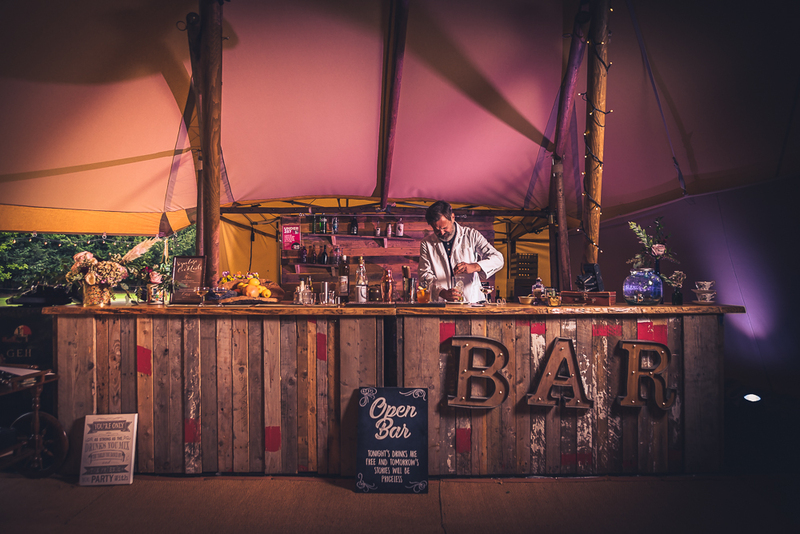 “You wait” he replied “once it gets dark is when this place really comes alive”. 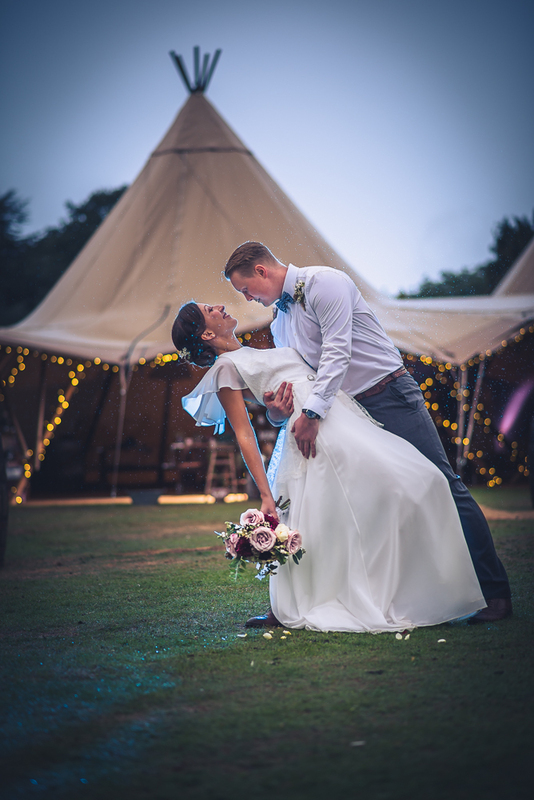 Richard wasn’t wrong, as dusk fell the outline of the tipi began to glow against the darkening sky and silhouetted woodland. 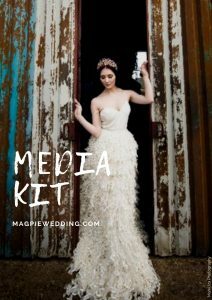 The idea for a styled shoot started to develop. 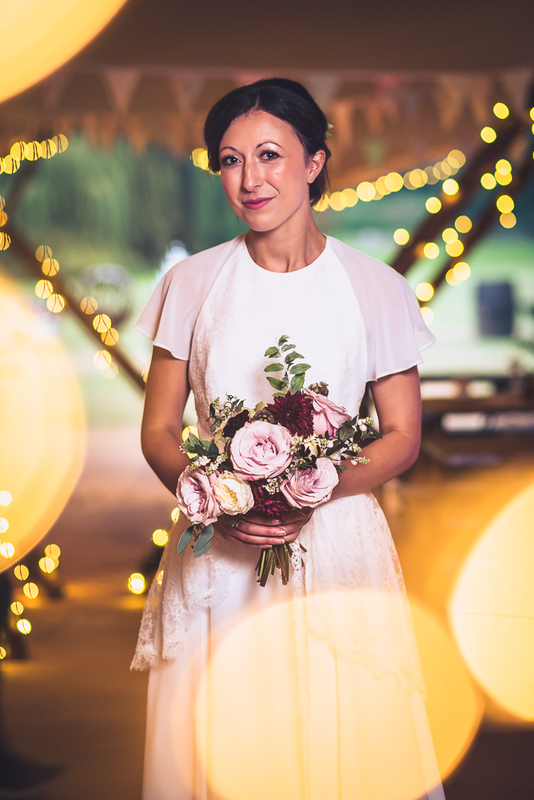 Kerry, Cambridge Makeup Artist gave the model soft, natural makeup with shimmering eyes and rose-pink lips. 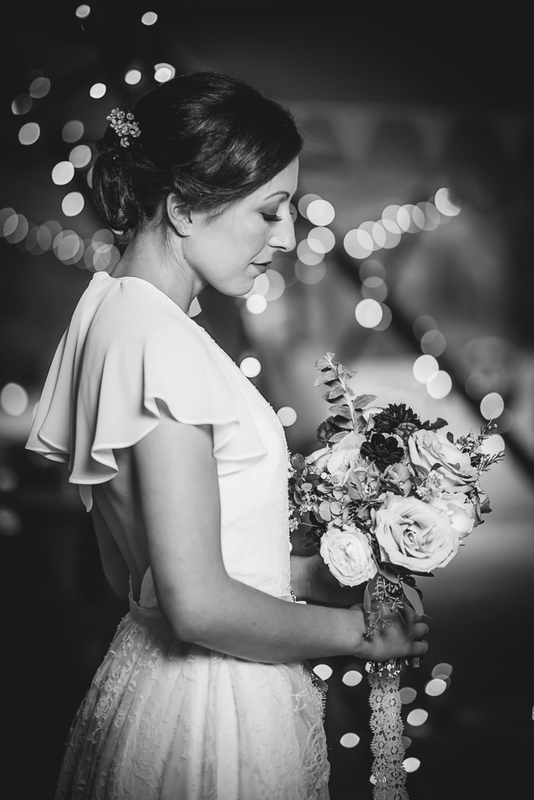 She went for a pretty up-do and the look totally captured the vintage vibe in a contemporary way. 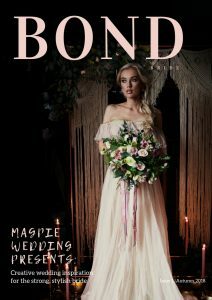 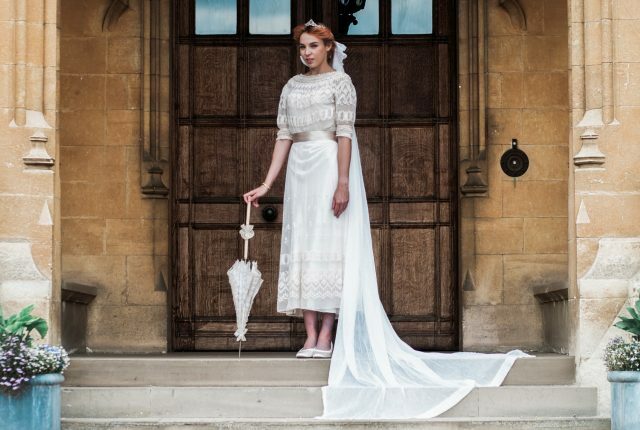 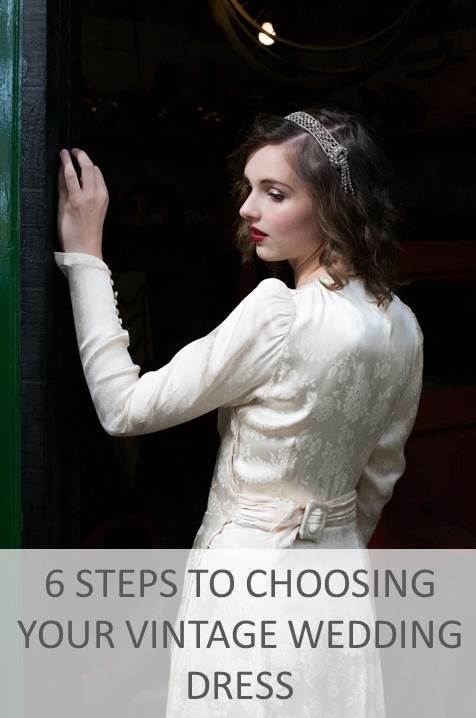 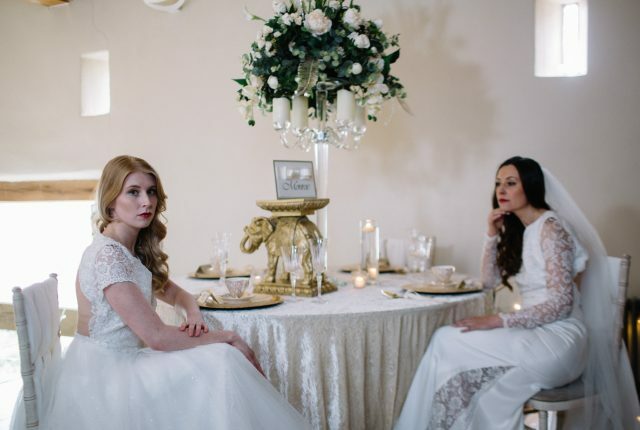 Lisa Lyons wedding dresses use vintage inspired laces and soft, delicate silk georgette and tulle. 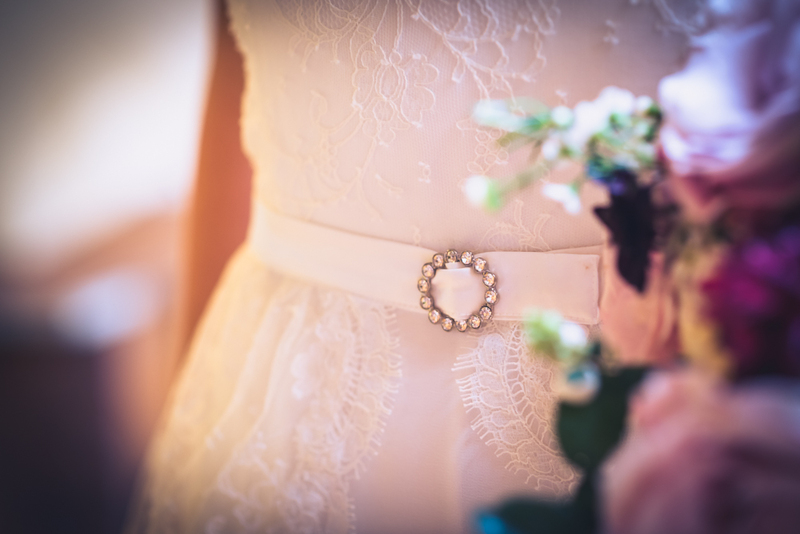 The styles are feminine and not overly complicated. 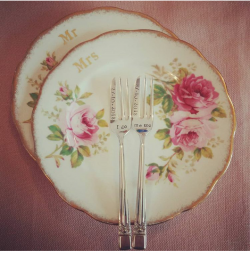 Perfect for this setting, they are romantic, one off pieces that have a modern, vintage feel. 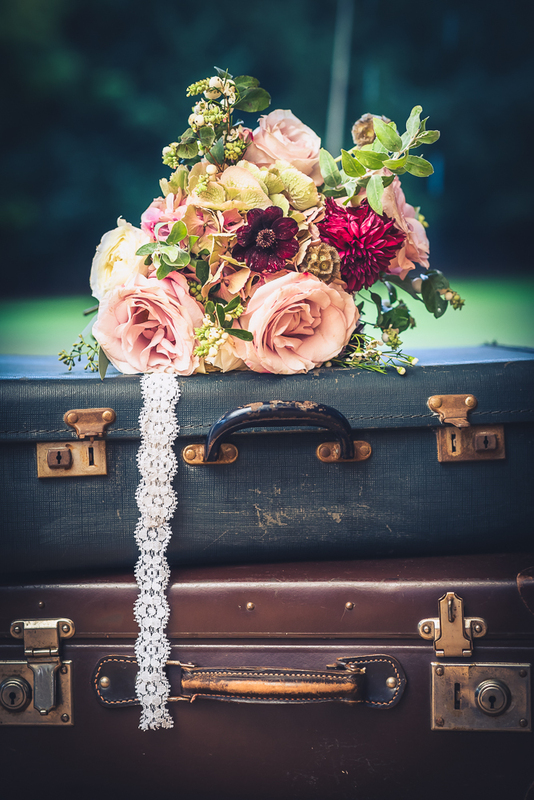 The bridal bouquet was hand tied with a beautiful lace ribbon, which matched the dress perfectly. 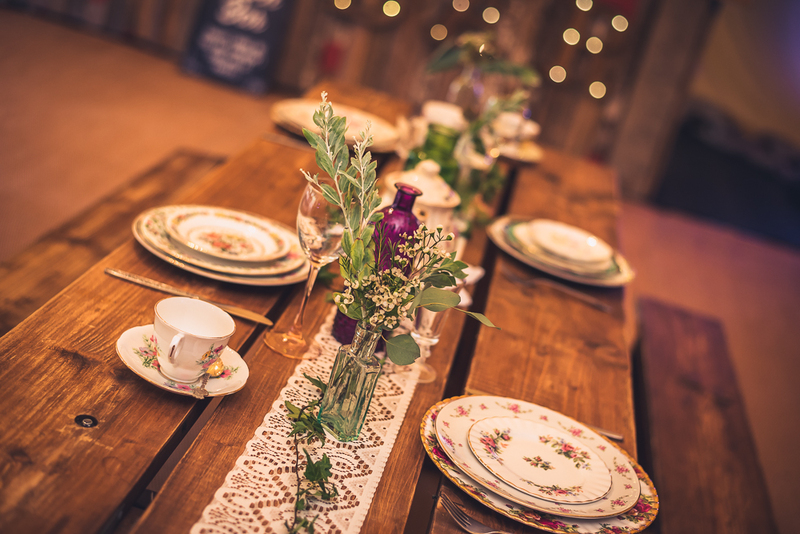 The reception was decked out by Carla and her team from Herts Vintage Hire. 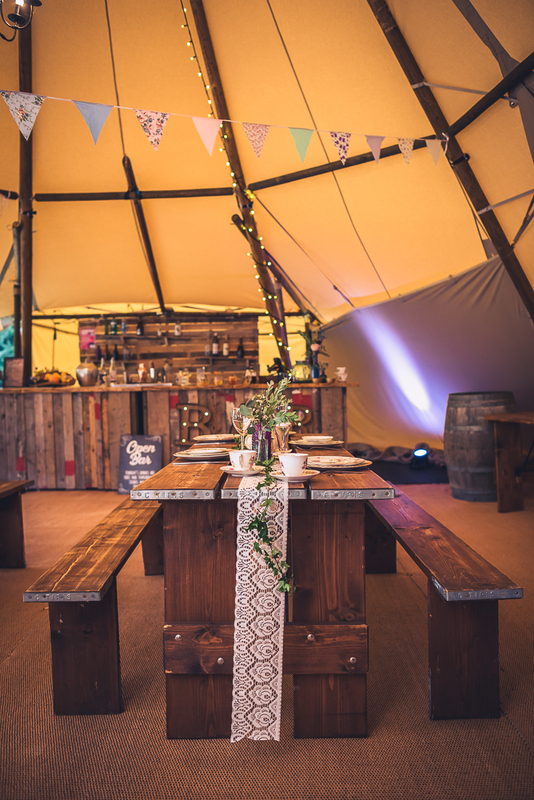 She is all about attention to detail and takes pride in styling every part of the tipi to perfection. 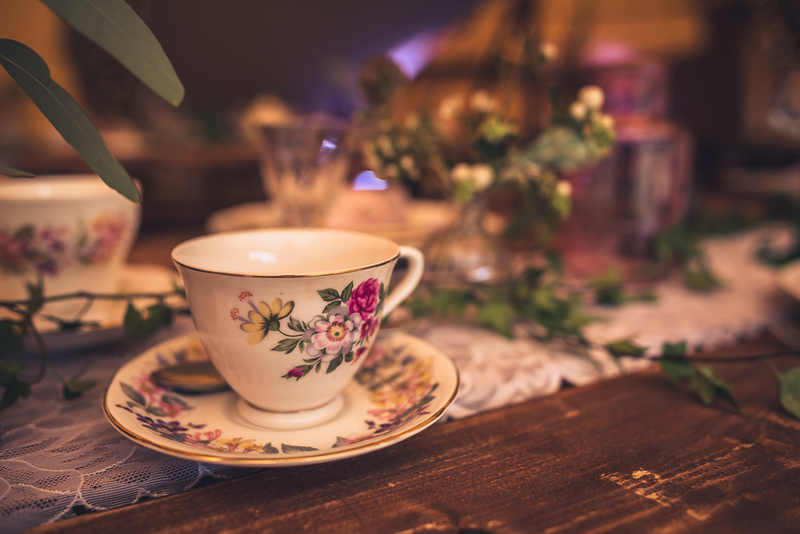 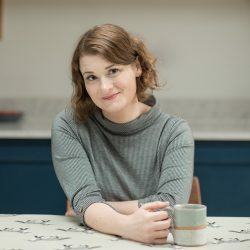 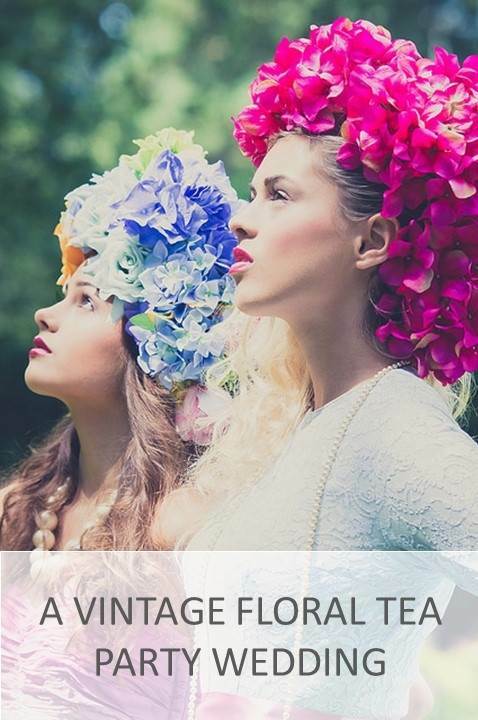 Her vintage china and decorative vintage props are all unique items, having either been lovingly hand made or individually sourced through hours of scouring antique fairs. 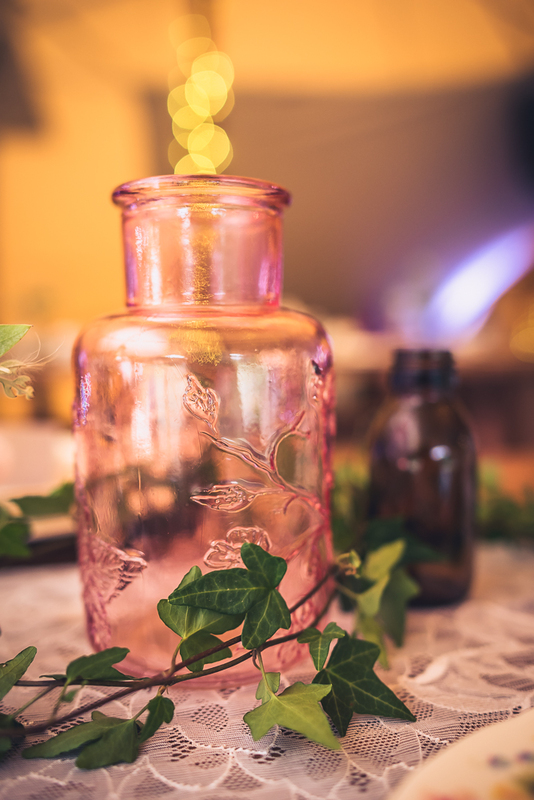 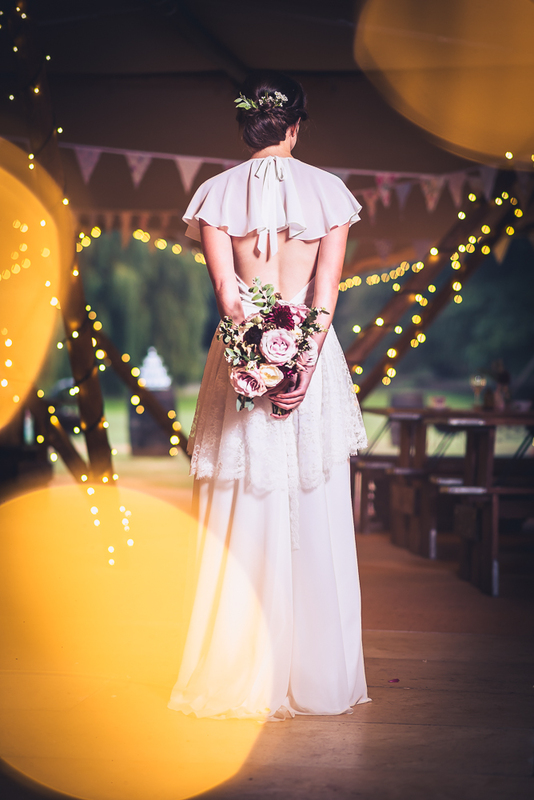 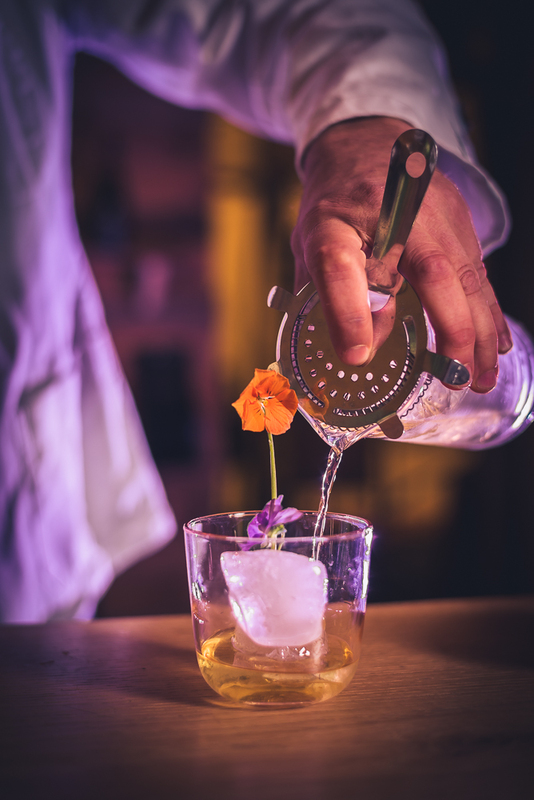 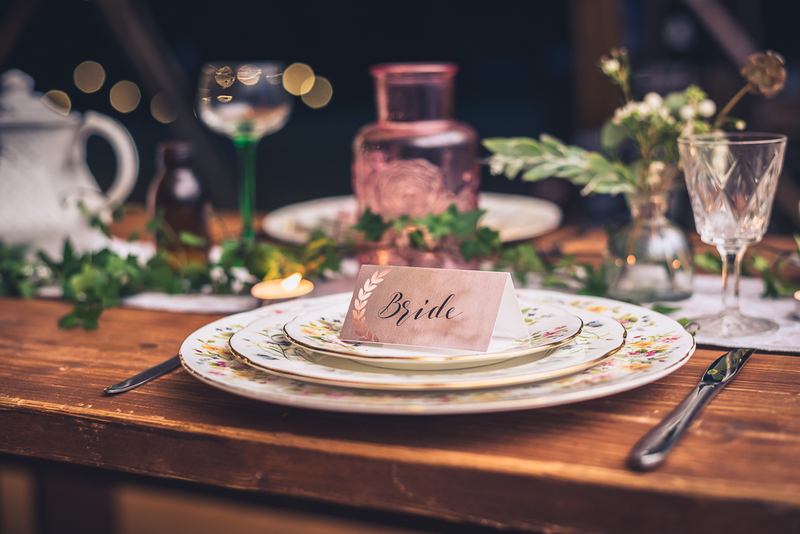 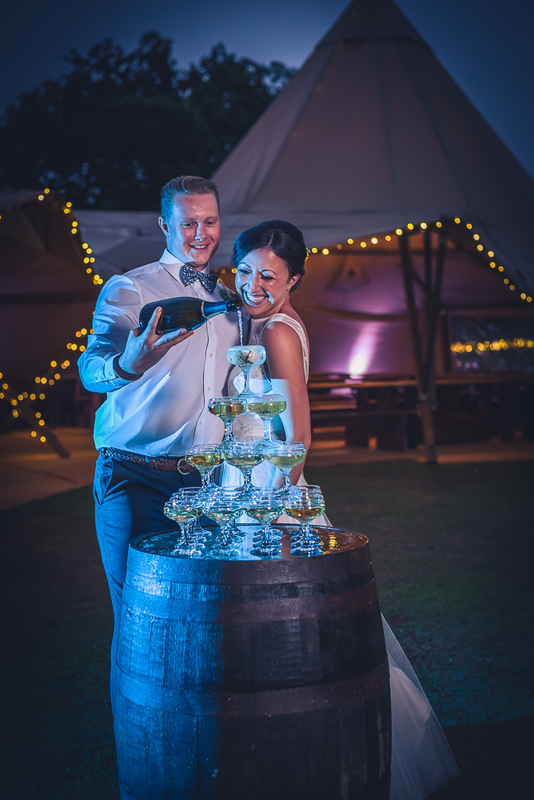 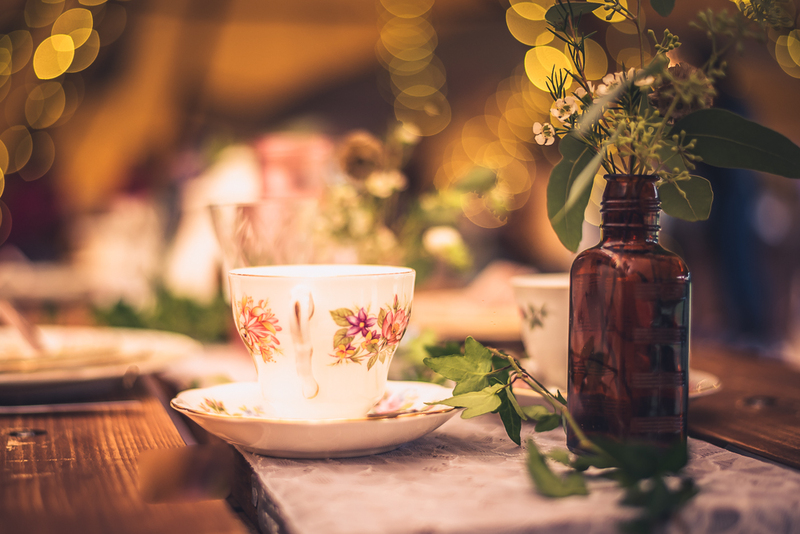 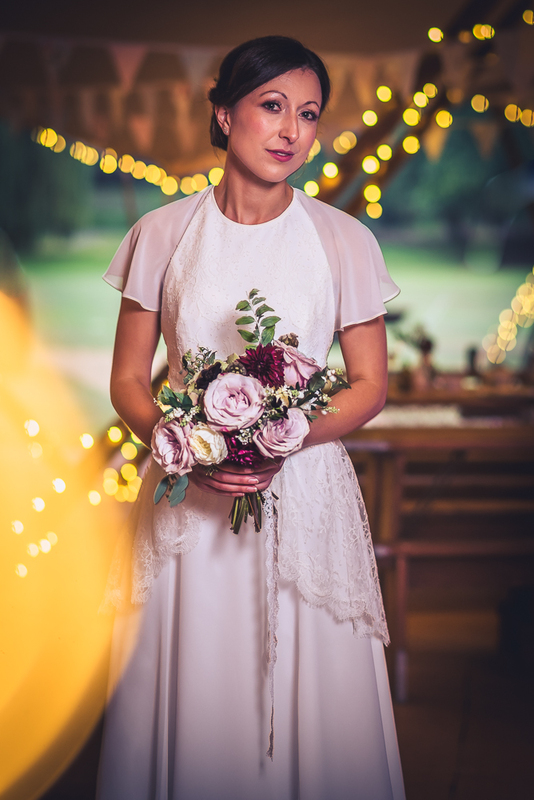 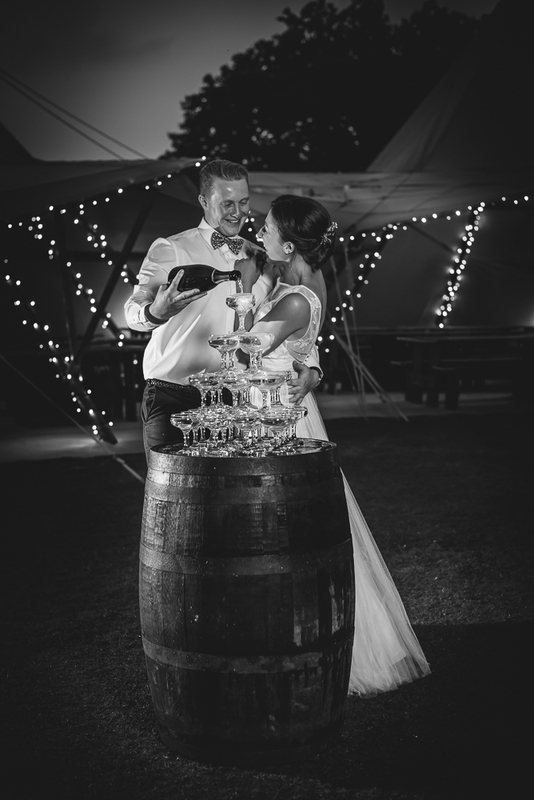 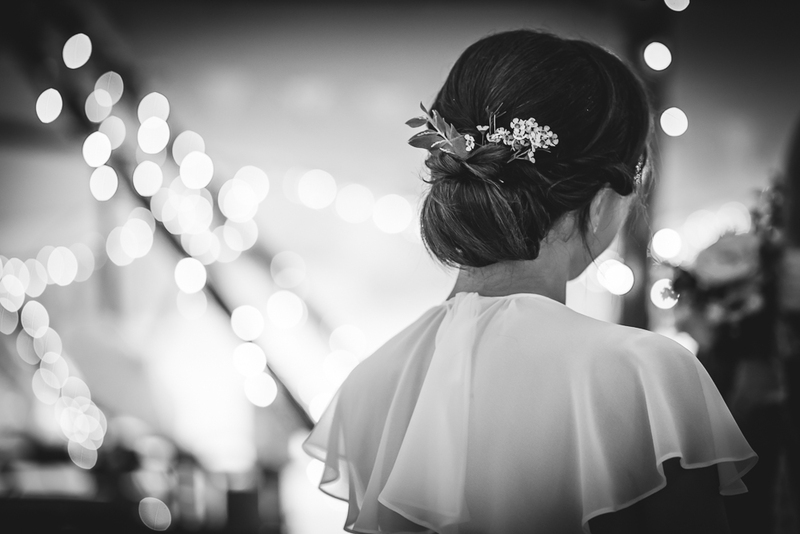 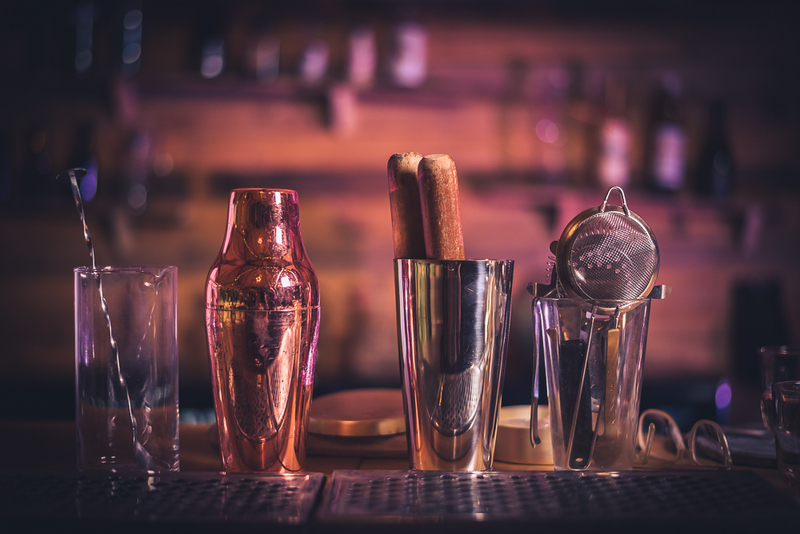 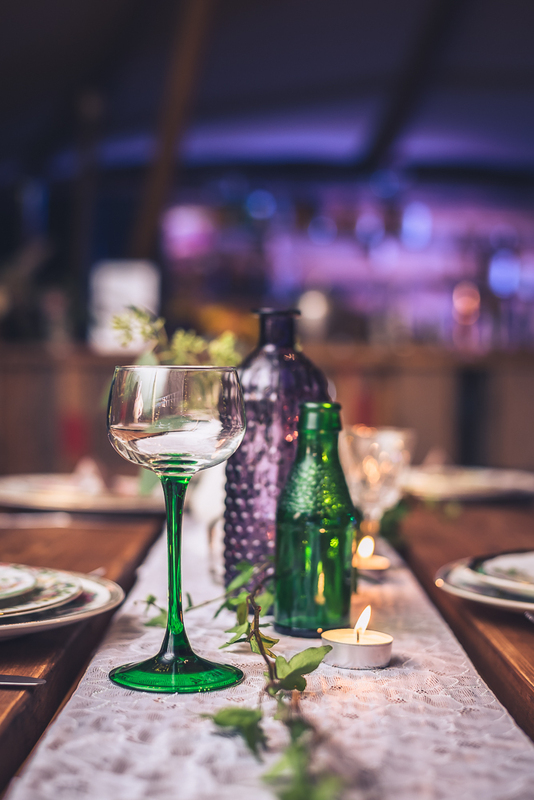 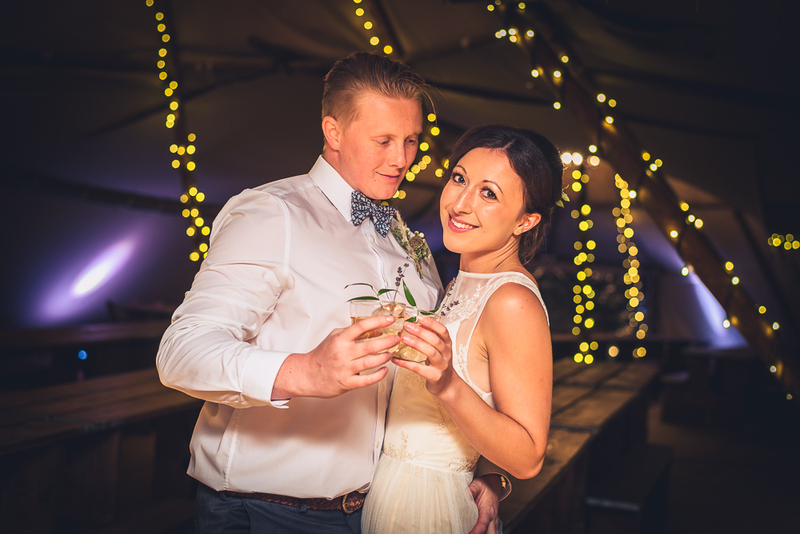 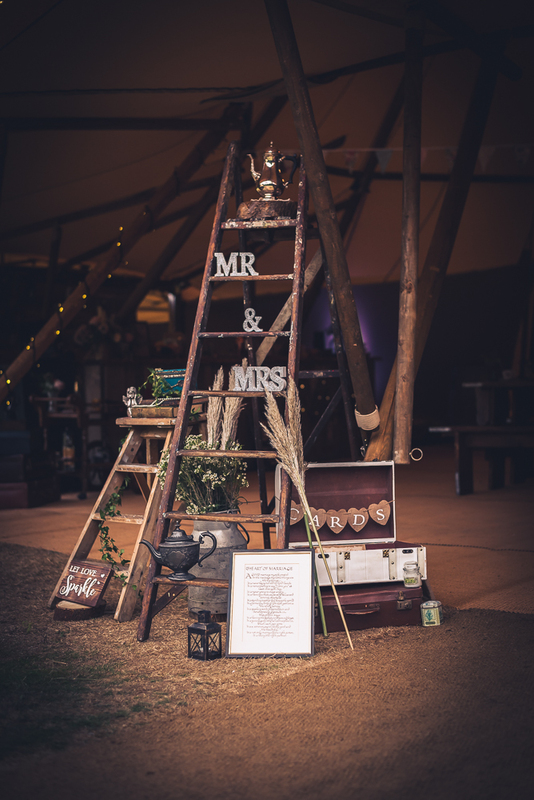 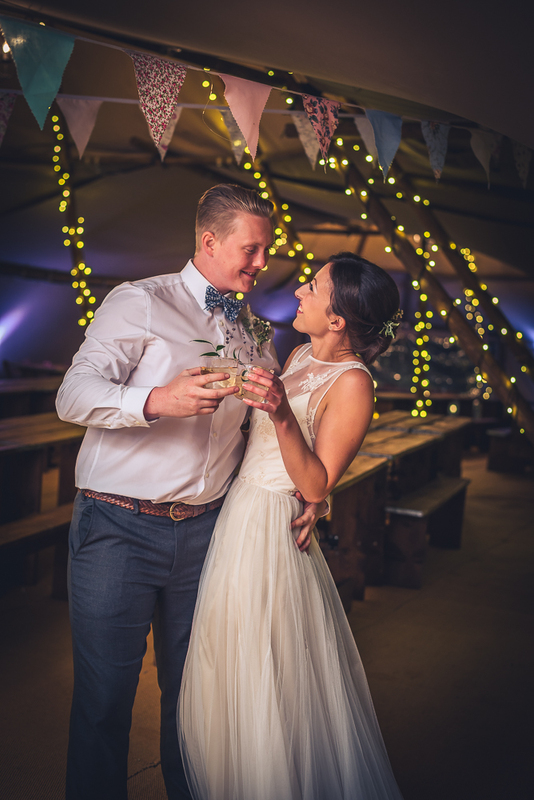 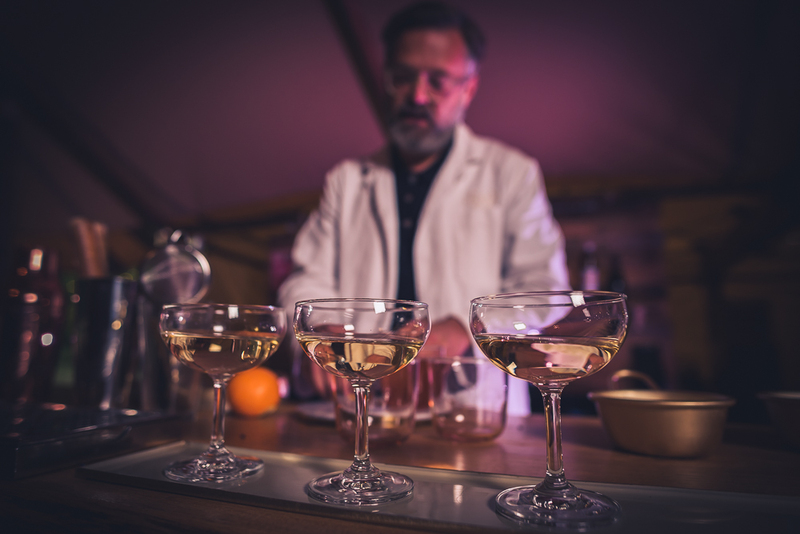 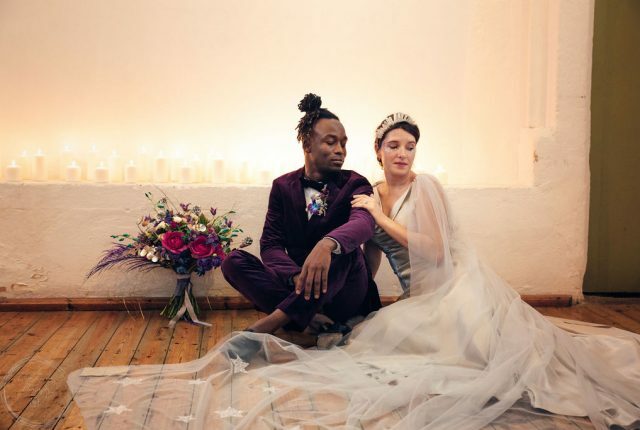 Carla is an expert at dressing venues, using carefully selected items from her vast inventory of treasures the tipi was transformed into a vintage wonderland. 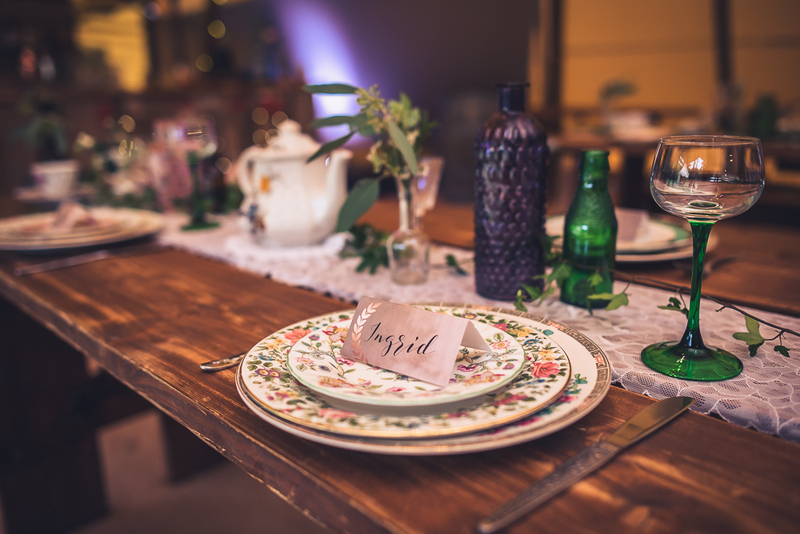 The tables were laid with antique, mismatched china and glass beautifully accented by Gemma from Iris and Co Floral Design. 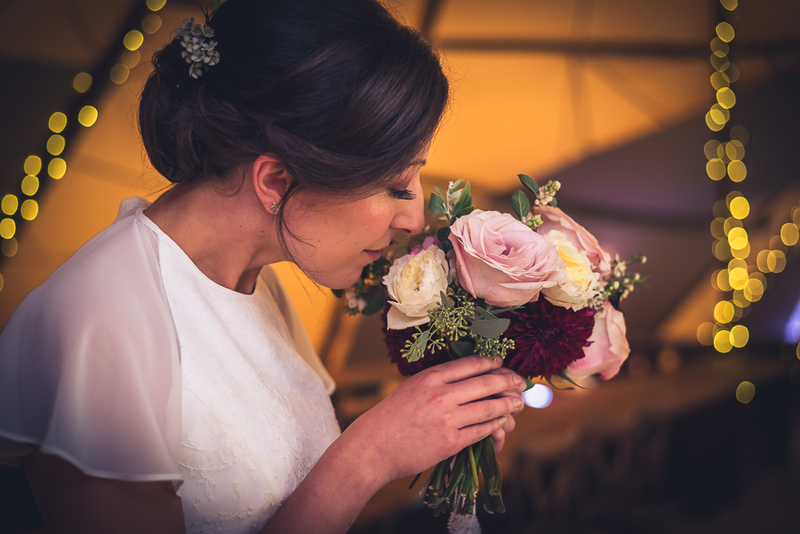 She used antique pink hydrangeas, Quicksand and Secret Garden roses for the pink tones combined with the gorgeous smelling white Patience rose from David Austin. 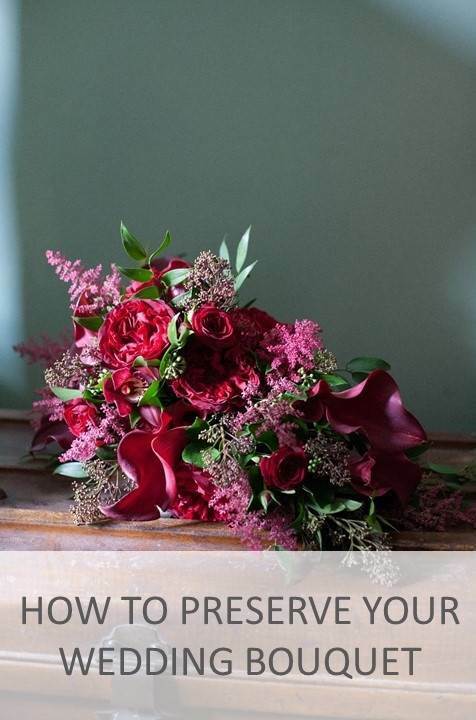 To give a pop of rich colour, she added burgundy dahlias and chocolate cosmos. 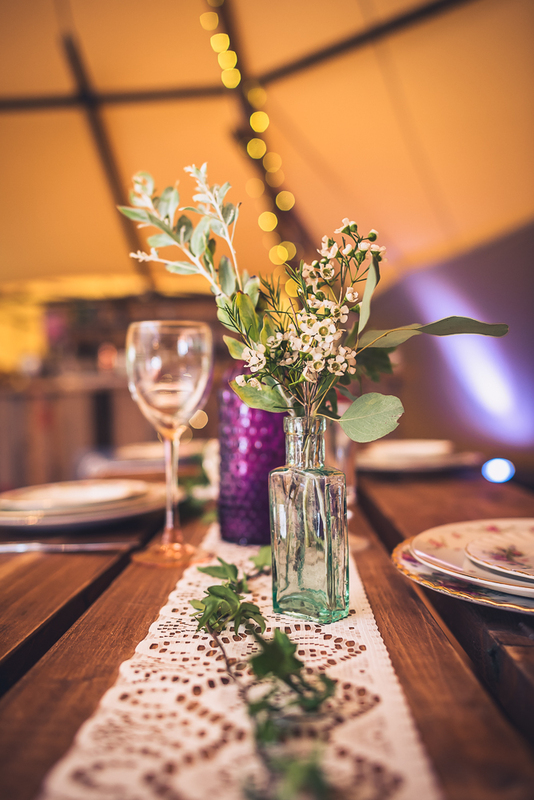 Along the table runners and through the décor, she wove trails of ivy and used Pampas grass to create texture giving it a softer, boho look. 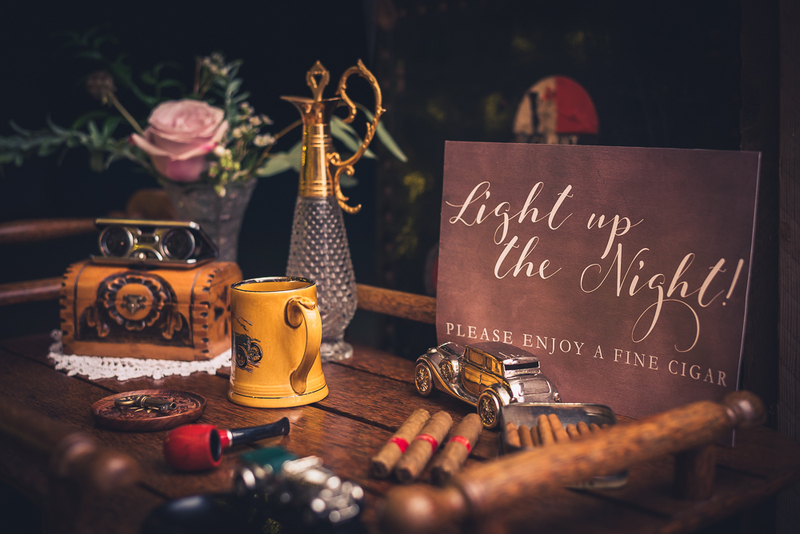 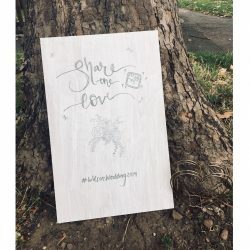 Lorna Boyer Design created invitations, place cards and signs, inspired by telegrams and printed on a textured paper, adding to the vintage feel. 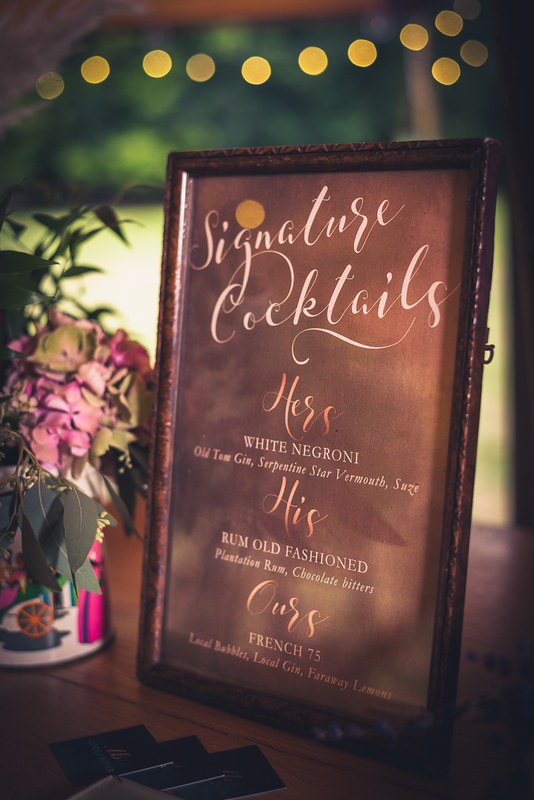 These included a twist on the classic crest which took elements of the old post office mark and combined them with the couple’s initials and a gold foil texture. 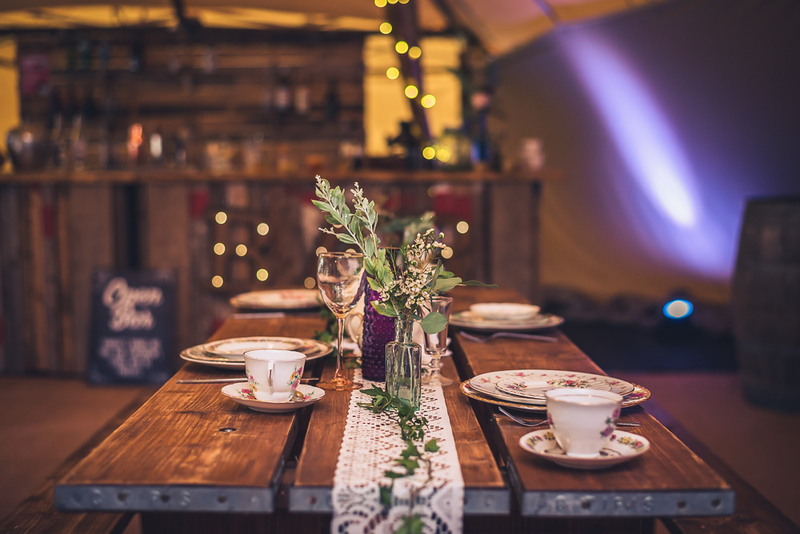 The aged effect worked perfectly against vintage suitcases and set beside the antique china, adding the finishing touches to the place settings and displays. 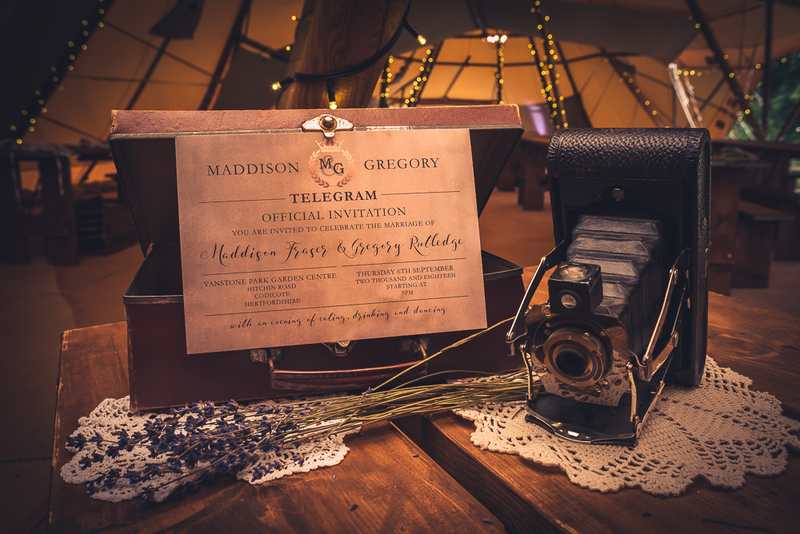 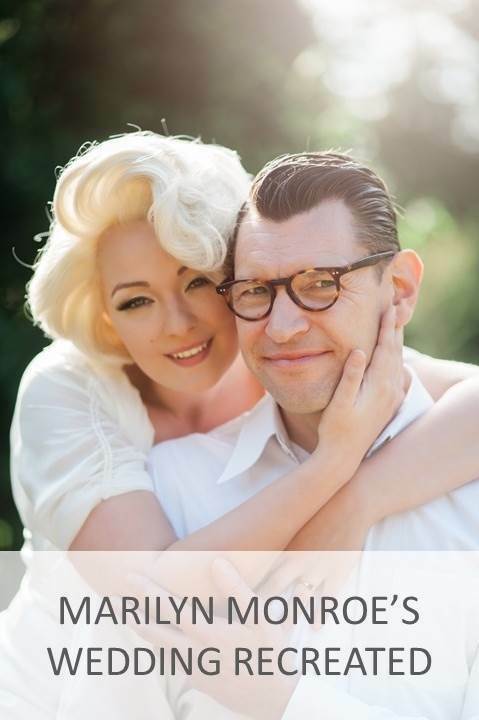 This stationery style would be perfect for a simple, 1940s themed wedding and shows how you can move away from current trends to create something that suits you and your wedding theme. 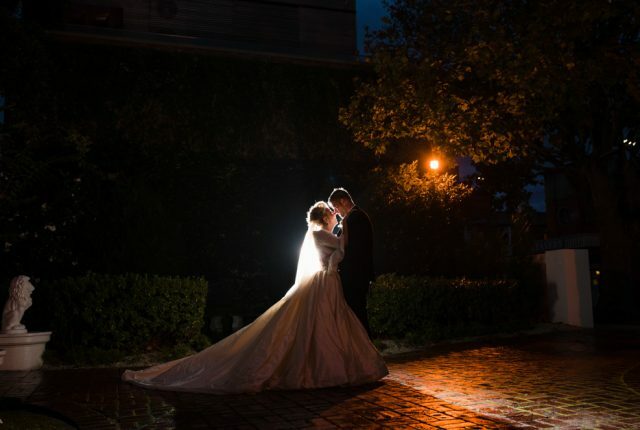 The evening was perfect, even when the rain fell. 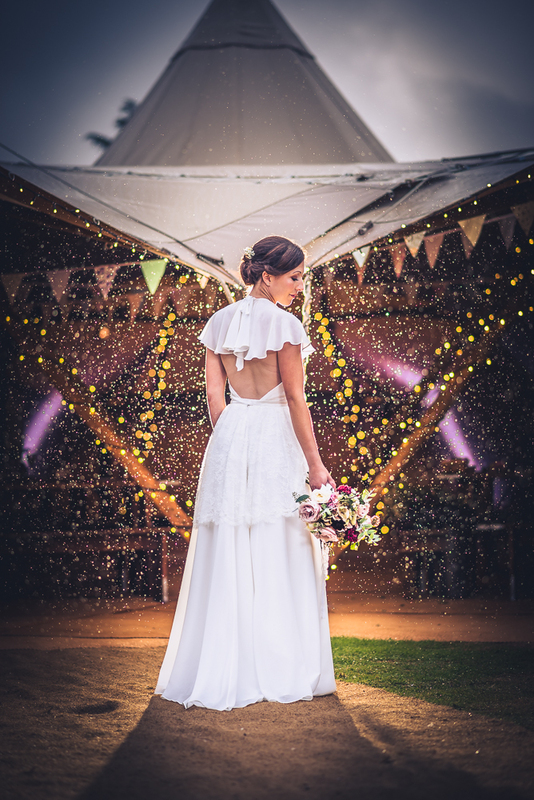 After all, anyone who says sunshine brings happiness has never danced in the rain!